I’m pretty sure one of the best aspects of Thanksgiving is the abundance of leftovers. Since Thursday I have had countless plates of “Thanksgiving dinner” all over again. I’m not sick of turkey yet! It can get boring to eat the same dinner over and over again, so I made a simple soup out of leftover turkey. Directions: Saute the vegetables in a pan in the olive oil until soft and add pinch of salt and pepper. Pour the broth into the pan and add the turkey. Bring to a boil, cover, and simmer for 1 hour. 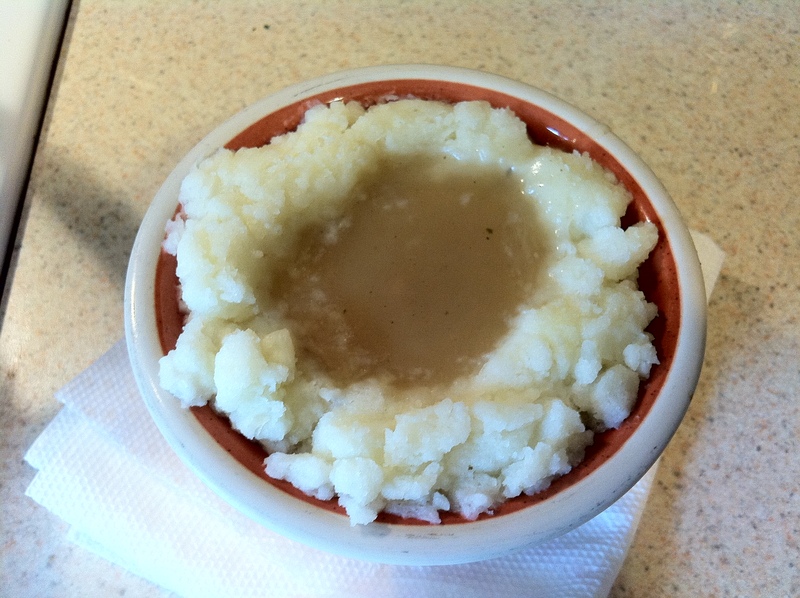 Enjoy with other leftovers, like mashed potatoes + gravy! I hope everyone is having a nice Sunday. I went to church this morning and now I’m working on homework (I go back to school tomorrow). I might go bowling later with Jimmy or walk Lola, though it is raining out-ugh. Do you love leftovers? Do you do anything fun with them?! 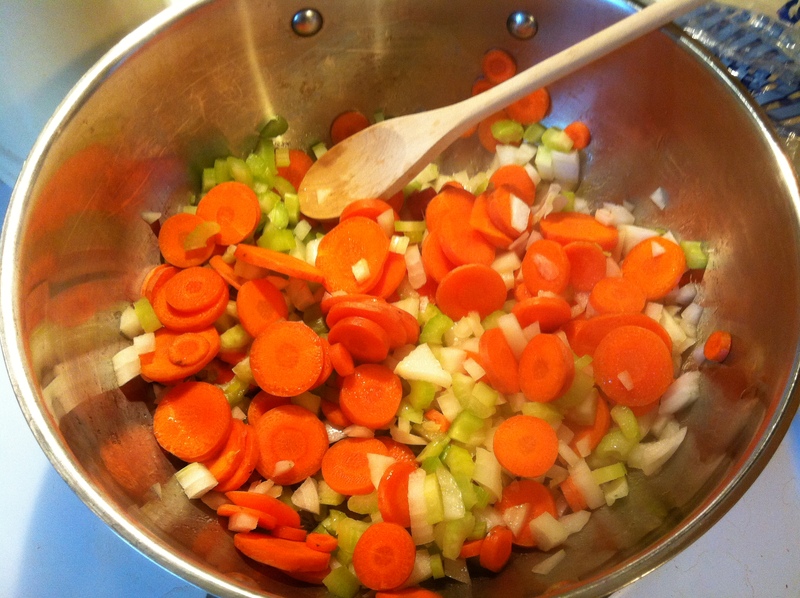 I love making homemade soups to use up leftovers, especially vegetables! 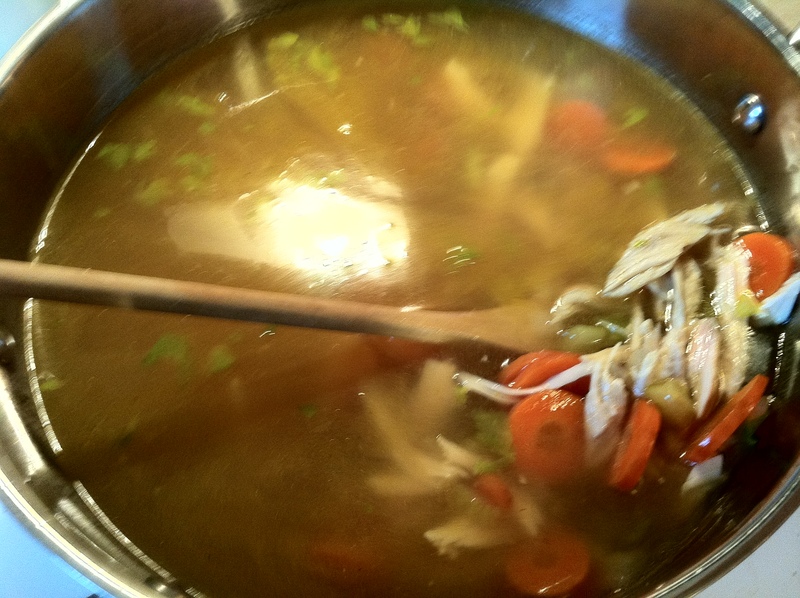 that is one of y favorite ways to et leftovers….STEWS!! oh and egg casseroles. enjoy your last day. Leftovers are great in sandwiches and salads…or just by themselves. Soup is also a great way to stretch them out too! mmmmmmmmmm the Boys mom is making turkey soup too! and i have a ton of turkey also, so I’m thinking about it as well! I LOVE leftovers!!!!! It means I get to take a break from cooking for a day or so… Ha, ha. 🙂 I do love cooking, but I’m all for a break once in awhile. I may like Thanksgiving leftovers even more than Thanksgiving dinner (and may have posted a little about my leftovers as well 😀 ). I love simple soups, they are such a great winter and post-holiday food. I made a turkey and mushroom Thai curry out of the leftover turkey. And a soup but that’s not as exciting as the curry. I wish I had turkey leftovers to make this soup! So simple and so perfect!